And I'll take it with me wherever I go. Chronicles from very well-fed kids. Denial is not just a river in Egypt: it's what happens when you get back from vacation. This week's day in the test kitchen felt a little bit like working inside an ice cream truck. Minus the soundtrack. What have you made in the kitchen over the past week? Our office kitchen has gotten a lot of love -- and seen its share of struggles, too. Big changes are happening at Food52, so these old dogs have to learn a few new tricks. There was a whole lot of grilling happening in the test kitchen this week, plus a whole lot of Clara. Have you ever wondered what a day in the Food52 test kitchen actually looks like? We got scrappy in the test kitchen this week, hacking open coconuts and doing some cooking off the countertop. When in doubt, turn to Julia. We turned artichokes, we split spring onions, and we kept on baking. This week in the test kitchen was a testament to spring, and we're showing you some of our favorite outtakes. Spring is here! The birds are chirping, the asparagus is growing, and we're taking pictures of everything. Our test kitchen tends to get hectic. We do our best to run a tight ship, but we're often prepping, cooking, and shooting multiple dishes at once; we're like a troupe of unicyclists trying to juggle swords while taming a lion or two. In other words, we'll take all the help we can get. This week, we took on a temporary intern and did our best to keep our messes contained -- or at least out of sight. See our favorite outtakes from the week, and follow us on Instagram for more. March Madness refers to cooking a lot of food and playing with babies -- right? This week, we're talking decoration. Pro tip: Legos are the new mason jar. The word of the day this week? Bread. 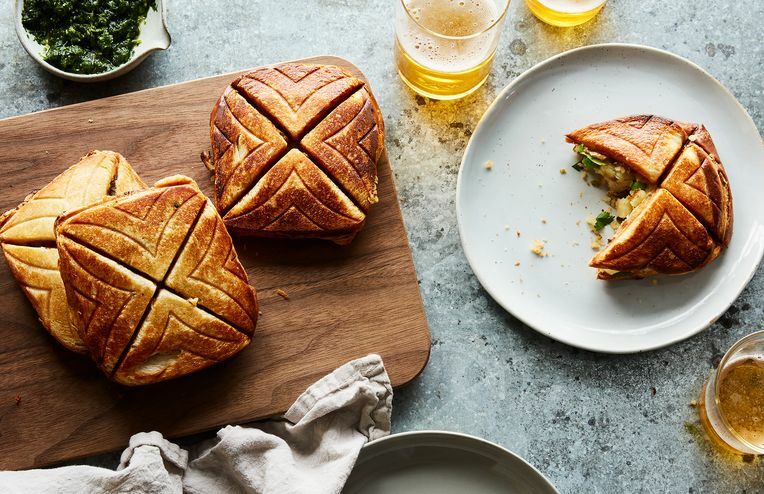 From buns to brioche, we were busy mixing and kneading and eating all day; let's just say we kept Amanda's toaster busy and our bellies full. After weeks of living and breathing (and eating) all things Piglet, things are finally starting to get back to normal in the land of Food52. We were all a big, noodly mess after a day in the test kitchen this week. Most of the day was spent testing recipes for our Noodle Soups contest, which meant lots of bowls, lots of noodles, lots of dishes to do, and lots of slurping. Meet Amanda's windowsill, one of the hardest workers in our test kitchen. From tasty persimmons to illegible birthday cakes, this week's Test Kitchen day was full of happy surprises.